Tanna is Vanuatu 's most popular adventure destination and has more bungalow and guesthouse accommodation than any other outer island. It is also Vanuatu 's third most developed island, after Santo, and has the highest population (but not the highest population density). 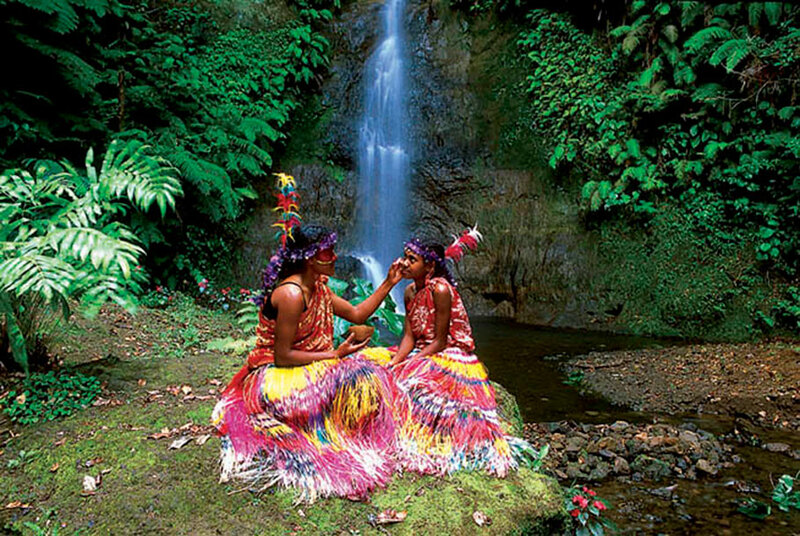 Tanna's economy is based primarily on agriculture and tourism. 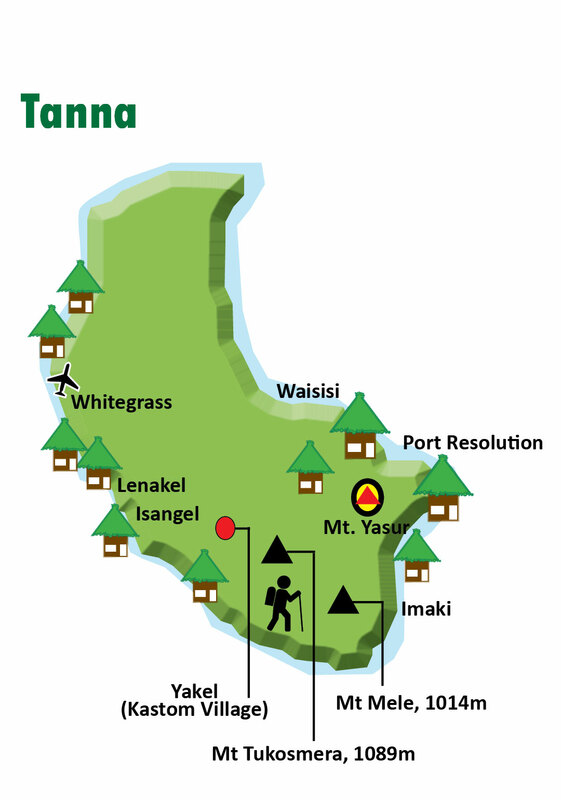 Tanna's main town is Lenakel although the administrative centre is nearby Isangel. There is a lot to see and do in Tanna so, if you want to swim in underwater caves, snorkel on some of the best coral in the South Pacific, visit untouched waterfalls see the islands wild horses and experience an ancient culture that remains largely unchanged to this day, and allow time to explore. 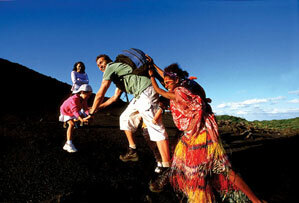 Tanna is best known as the home to one of Vanuatu ’s most popular tourist attractions, the Mount Yasur volcano and a walk to the rim of this fiery volcano certainly makes a visit to Tanna unforgettable. There's much to explore and time to relax if you stay for a few days. Aneityum, a tropical island paradise is Vanuatu's southernmost inhabited island. The interior is mountainous and covered with wet, dark forest. Along the coast, pine plantations contrast with coconut palms, white sand beaches and coral reefs. Aneityum is a good island for walking; not too large and with a cooler climate. Mystery Island is all beaches and reefs and a popular cruise ship destination. Futuna is an island in the Tafea province of Vanuatu. It is the easternmost island in the country. It was formed by the uplift of an underwater volcano, which last erupted at least 11,000 years ago. It reaches a height of 666 m. It is sometimes called West Futuna to distinguish it from Futuna Island, Wallis and Futuna. It is a Polynesian outlier. Erromango is the largest island in Tafea, the southernmost province of Vanuatu. Its largest villages are Port Narvin and Dillon’s Bay (Upongkor). Erromango is largely unpopulated and undeveloped. It was formerly known as Martyr's Island by the Presbyterian missionaries in the 19th century, because of the alleged risk of missionary activity there. Erromango today has only a few small villages along the coast. Upongkor village, eight kilometers south of Dillon's Bay airstrip, has the island's only guest house. The village is beautifully situated at the mouth of the Williams River facing Dillon's Bay. Aniwa is a raised coral atoll 24 km NE of Tanna Island in the Tafea Province. The highest point is only 42m above sea level. Most of the island's residents live in the south. Aniwa was the first island in the archipelago to have missionaries. Itcharo lagoon in the north of the island is surrounded by white beaches and coconut trees. The lagoon has become a new addition to the Vanuatu Ocean Swim 2010 event. Long beach walks on the secluded lagoon are a feature of your stay on Aniwa - guides are available to point out plants, shells and fish indigenous to the island. They will also take you to the newly created Turtle Sanctuary. GET more facts about the destination here!